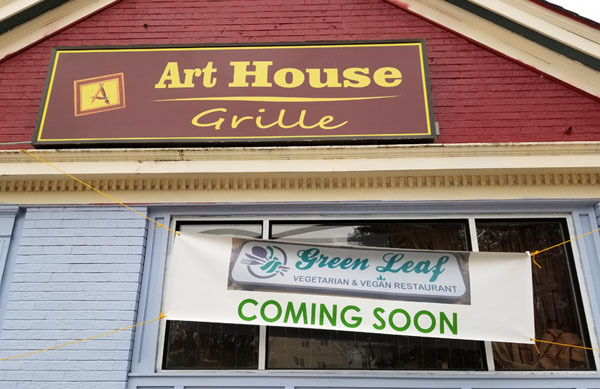 Green Leaf vegetarian and vegan restaurant is relocating to Water Street in Framingham! They’ll be taking over the old Friendly’s location that most recently housed the Art House Grill. I spoke to someone inside the still-closed site today (I believe one of the owners), who told me that “everything will be the same” – the restaurant will be open for lunch, dinner, and brunch, with basically the same menus. He said January 10 is the tentative goal for the new Green Leaf to open. They were formerly on Cochituate Road. The restaurant has a 4-star (out of 5) rating on Yelp and 5 of 5 on Facebook, and has more than 2,000 Facebook followers. If you want to keep up with news about the new location, he advised following the Green Leaf Facebook page. There’s more information about the new Green Leaf location at the Framingham Source.